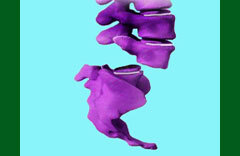 Are you in desperate need of help for spondylolisthesis pain? If so, then you have found the right place. 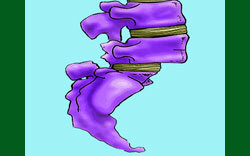 We cover the causes, symptoms, diagnosis and treatment of vertebral listhesis. We provide a safe and completely free community where patients and their families can learn everything about spondylolisthesis and use this knowledge to gain an optimistic prognosis for the future. Spondylolisthesis is a spinal structural abnormality in which one or more vertebral bones has moved out of normal alignment with the vertebrae above and below. In essence, the bone has slipped, migrated or dislocated from its normal anatomical placement in the spinal column, potentially creating serious health consequences for the patient affecting both mind and body. Although this sounds terrible, most cases of listhesis are not painful and will not become symptomatic to any significant degree. If you require immediate relief for severe pain right now, then please accept our invitation to learn more about our proprietary and proven pain relief program. 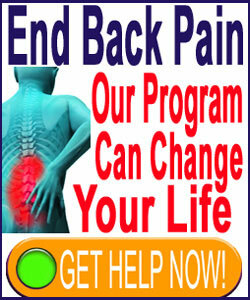 The program is safe, effective, highly lauded and available from anywhere in the world to help you 24 hours a day. 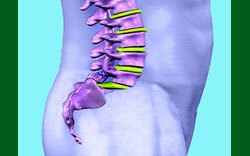 If you are looking for honest, objective and enlightened information about vertebral listhesis, then you have found it. We promise to educate you, advocate for you and assist you in any way that we can. We invite you to take an active role in your own care, as well as participate in our listhesis patient community. Please feel welcome and comfortable here. We have been serving the needs of chronic pain sufferers for over 15 years and are the leading provider of honest and objective healthcare information on the web today. Please also note that we never accept compensation in exchange for favorable reviews or the preferential marketing of products or services. Maintaining objective editorial credibility is our top priority. We value the trust you have placed in us! Our major site topics are found in the navigation bar. In each section, we provide a variety of focused discussions to fully illuminate the subject matter. We strongly recommend reading all the essays in each resource section in order to get a full understanding of the larger topical focus. We also provide a site map and a site search feature to find specific information which might be of interest to you. Our editorial board members are volunteers. We invite you to enjoy this website for free, with no pressure to buy anything. However, if you do choose to donate, or purchase any of our products, then please know that 100% of the money goes to help other patients around the world thorough our research, education and advocacy efforts. Thank you.